Looks can be deceiving when it comes to home projects. You think your project is small. You’re sure you can figure it out. However, think carefully and do your research before embarking on these 3 home improvement projects you should never do yourself. You bought a trendy new light fixture and you can’t wait to install it and get rid of the 1970’s fixture that’s been there… well… since the 1970’s! Therefore, you think that with a little focus, this should be a fairly simple project. Stop before you go any further! Not knowing (or forgetting) to shut off the live power to whatever you’re working on…and possibly getting shocked. Incorrect wiring can overload your power draw, which leads to popping breakers and more costly issues later. Electrical wiring is complex and there are many things you need to know in order to install a light fixture correctly. 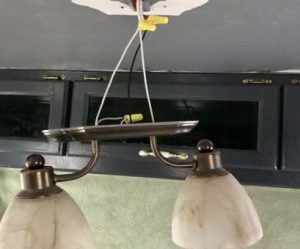 So, hire a professional to install your new light fixture. It’s worth it! You just slide it in and connect it! It’s easy, right? 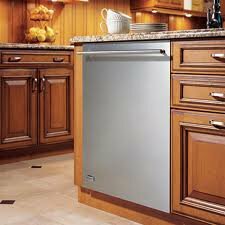 There are complexities you don’t realize, such as installing water and drainage lines under the sink cabinet. 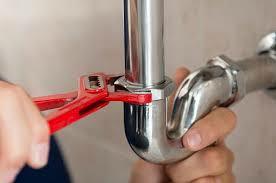 Additionally, you may have to drill holes in a cabinet for water lines, hook up water lines, and more. You don’t want that hassle and potential problems, do you? You lived in your home for several years and your bathroom sink doesn’t drain like it used to. Rather, it drains very slow and there’s even a foul smell. You think about the many things that accumulated over the years. ICK! So, you use Drano. But, you did this already many times, and it never seemed to do the trick. Not a biggie, you think. You feel motivated and the bucket and wrench are nearby. Why not, you ask yourself? Well, I’ll tell you why not! Dismantling pipes is RISKY! You will get the pipes disassembled, but reassembly is a different story. Additionally, pipes could start spraying water and gunk everywhere. In a nutshell, the potential gunk, smell and water everywhere isn’t worth the mess and stress. When it comes to certain home projects, HIRE A PROFESSIONAL! Don’t take risks trying to do things that are best left to an expert. Here’s a list of handyman services in Palm Coast, Florida on Home Advisor to get you started on finding the best professional to get your job done. 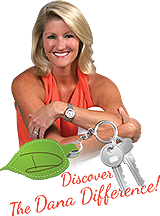 I’m also ready to help you in lots of ways to sell or buy a home in Flagler County, Florida. Contact me to schedule a meeting!